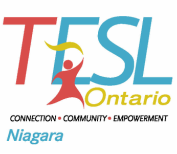 NOTE: Priority registration to TESL Ontario/TESL Niagara members until October 7, 2015. At this event, we’ll first focus on the “eat” segment, the food. At Coppola’s Ristorante we’ll enjoy hot and cold appetizers from the “munchies menu”; a plentiful variety of Italian finger-food favourites. On Tripadvisor, this restaurant is rated #11 of 338 places to eat in St. Catharines, so you know it’ll be good. All refreshments to be paid for individually. The food and socializing - “talk” - will be followed by the “learn” segment. We’ll be joined by Danny Tan, who holds an MA in Applied Linguistics and currently teaches ESL at York and Ryerson universities in Toronto. He specializes in the acquisition of second language pronunciation strategies. His presentation is entitled: "Whachatalkin'bout? A look into teaching meaningful pronunciation practice".